A sweet western romance. Anna Reeves was in a school bus accident that took the lives of three classmates and the driver. 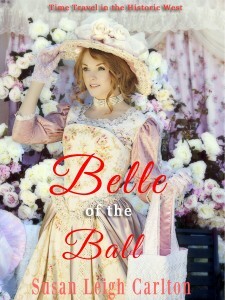 She is invited to a period costume ball at the Helena Country Club. She is in the ladies room when an earthquake shakes everything. She is led to safety by a mysterious woman and exits the club into a world of time past. Bart Williams is a wealthy young rancher and an identical twin. Can Anna and Bart find happiness together or will she return to 2015?